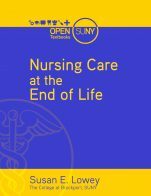 Nursing Care at the End of Life: What Every Clinician Should Know by Susan E. Lowey, The College at Brockport, SUNY is licensed under a Creative Commons Attribution-NonCommercial-ShareAlike 4.0 International License, except where otherwise noted. It would be good to see a list of words appropriate for entry level students studying the topic. this will help them increase their understanding what common terminations means. Content is well supported with research. It would be good to see more of Health Canada stats than CDC stats. Content is up-to-date with the regards to review of context and concepts about hospice palliative care. It will be good to see some tables or infographic to be able to see what statistical numbers means of a clearer picture. The use of hospice palliative care is conistently to its meaning as written in the book. Good to see the contents divided accordingly realistic expectations in facing death and dying. The timeline is very logical and it clearly show the process. It will be easier to read with more space between texts. It will be nice to see images and charts. Texts are free from grammatical errors. It includes the holistic approach. 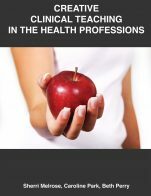 I recommend to do some book content matching with the standardized provincial curriculum for HCA and get connected with the BC Care Aide registry for consideration of having the open textbook be used to supplement the added hospice palliative care content for HCAs and 1st year Practical Nursing students. 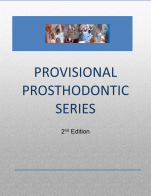 All areas are covered appropriately, the index and chapter outlines are clear. Although there is no specific glossary all terms are clearly defined in the text. The book is a U. S. text so I found the Historical Overview lacking in the areas where other countries have provided leadership in the development of end-of-life and palliative care. Canada, Britain and Australia are significant contributors. The author speaks a lot about the United States health care system and structure which is quite different from the Canadian context. This is an area where I would have to add content to my course. I already add it any way because I currently use a British text. End-of-life care is a world issue and the author does add material from the World Health Organization which is good. Content that is missing is how children face the end of their own lives or how they deal with the death of loved ones close to them. I would have liked to see a case example in each session to encourage students to discuss and apply what they have learned. Content is accurate, up-to-date, error-free and unbiased. This book will not quickly become outdated or obsolete. As legislation changes in the United States and Canada and other countries I would see the need for some sections to be expanded upon i.e. in Canada we are currently in the process of managing and continuing to develop the Medical Assistance in Dying legislation which can make the ethical issues surrounding end-of-life care more complex. The text is clear and easy to read. It is definitely written at an undergraduate level. Definitions and terms are clearly explained. The text is internally consistent in terms of terminology used and the framework. I like the framework of Anticipation; In the Moment and Afterwards. Modularity - The text is divided into manageable subsections. It is great that it has twelve sections as this fits nicely with a twelve week semester course. The reading is light enough that Canadian context readings and assignments could be provided to students without overloading them with reading requirements. I could possibly see myself using some of the sections in a different order. Because I teach psychiatric nursing students there is higher expectations for interpersonal communication skills, counselling skills, personal self-awareness and self-care, critical thinking and an understanding of individual, group and family dynamics. Relationship and the therapeutic use of self is central to the practice of psychiatric nursing therefore students are required to develop affect tolerance and the ability to be present with individuals who are distressed and suffering. Our students would be expected to differentiate between depression associated with a terminal diagnosis and depression that may need to be treated to improve quality of life. mental status examinations and spiritual assessments are part of their core competencies. Psychiatric students need to learn more about pain management and the management of physical symptoms so this text is helpful in these areas. I would be able to drop some of the materials i use in this area because this text covers these areas well. The topics in the text are presented in a logical clear fashion. The text is simple to navigate and the charts are clear and easy to read. I would have like some case study materials or examples to use. I did not notice grammatical errors. The text is culturally sensitive and non-offensive. different races, ethnicities, and backgrounds were included although i think these areas could have been expanded upon. Children and adolescents were not addressed in any specific ways. 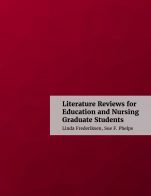 Not every person in an identified group will adhere to the same religious or spiritual beliefs, however, the book does emphasize individual preferences and the need for nurses to have a non-biased approach. there needs to be a distinction between collectivist cultures and non-collectivist cultures as this impacts communication and how advanced care planning is done. the cultural mix in Canada is different and this is where i would add specific Canadian data. In Canada we emphasize cultural safety and humility more so than cultural competence. We would ask individuals and family members about the cultural practices that are important to them. Our Aboriginal, Inuit and Metis people come from different tribes and have differing belief systems. There is often a mix of traditional and non-traditional beliefs. In Canada we are in the process of reconciliation with our indigenous population so this would be contextual information that would be provided. I have lots of Canadian cultural materials to use. The LGBTQ community and other vulnerable populations are not specifically addressed, i.e. the homeless, the mentally ill, the incarcerated, developmentally challenged individuals and those with other disabilities or challenging life circumstances are not specifically identified. All of these people are under-served in palliative and hospice care. 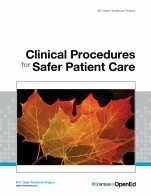 This book could be used in Canada, however there are specific segments where Canadian legislation and the structure of the Canadian health care system along with the Canadian cultural experience would need to be expanded upon. As noted above I have already had to do this with the current text i am using. This text would be an improvement over the one I am currently using. The segments I really liked include: Types and Variability within Illness Trajectories; Models of Organized End-of-Life Care; Palliative vs. Hospice; Initiating Conversations about Goals of Care; Management of Pain and Physical Symptoms; Care at the Time of Death; Nurse-Patient-Family Communication; Grief and Bereavement and the Afterward. The areas that are good include: Management of Emotional and Spiritual Distress; Ethical Concerns in End-of-Life Care and Diversity in Dying: Death Across Cultures. the Historical overview needs to be inclusive of the work done outside of the United States. I would definitely consider adopting this text for my course 69:272 Introduction to Palliative Care. I already have the additional Canadian content that i would use and I can create my own case examples. (Some of these materials are already created). I also use films and film assignments as part of my course. Thank you for permitting me the option of reviewing this text. •	Yes - however there are few images which is negative for visual learners, nor are there references to websites. However, the “ Learning Objectives” and “What you Should Know” boxes are helpful to anticipate chapter and then summarize for learners. And there are good connections between chapters.